The Zebra DS6707 has been discontinued. No direct replacement is available. The DS6707 delivers the accurate and rapid first time scanning of barcodes required to maximize employee productivity. 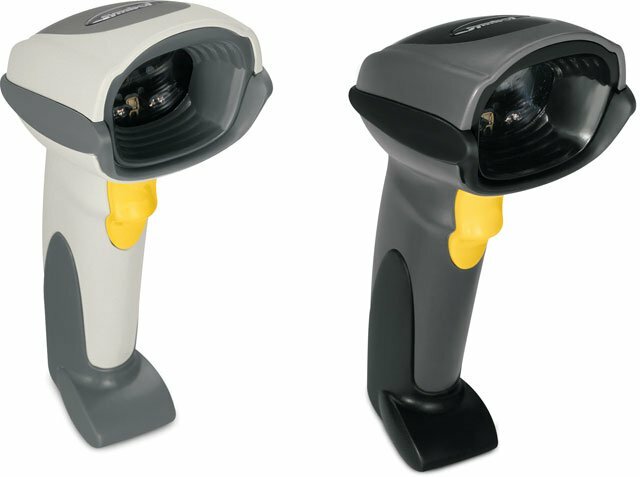 Whether you need to read 1-D, 2D or PDF417 barcodes, the DS6700 Series provides true point-and-shoot barcode capture - there is no need to orient products to the scanner window, and a viewfinder ensures the image is properly captured the first time. Users can dynamically switch between hands-free and handheld operation to quickly, easily and safely scan large items. And a pick list function expands usability from the front room to the back room, enabling rapid processing of orders and more. PoweredUSB kit, 2D Imager. Includes PoweredUSB cable. Color: Black. Call to purchase. RS-232 kit, 2D Imager. Includes RS-232 cable and power supply. Color: Black. SCANNER ONLY, 2D Imager. Cables and accessories must be purchased separately. Color: Black. For the full kit purchase (Part# DS6707-SRBU0100ZR). SCANNER ONLY, 2D Imager. Cables and accessories must be purchased separately. Color: White. For the full kit purchase (Part# DS6707-SRWU0100ZR). SCANNER ONLY, 2D Imager, High Density. Cables and accessories must be purchased separately. Color: White. SCANNER ONLY, 2D Imager, Document Capture capability. Color: Black. Cables and accessories must be purchased separately. SCANNER ONLY, 2D Imager, Document Capture capability. Cables and accessories must be purchased separately. Color: White. USB kit, 2D Imager, Document Capture capability. Includes USB cable. Color: Black. PoweredUSB kit, 2D Imager. Includes PoweredUSB cable. Color: White. Call to purchase. RS-232 kit, 2D Imager. Includes RS-232 cable and power supply. Color: White. RS-232 kit, 2D Imager. Includes RS-232 cable and 220V power supply. Color: White. It's cheaper and easier to buy from BarcodesInc than PCConnection. Great value for a sensitive 2D scanner. Used for scanning very small 2D codes. This scanner does not miss a beat. My experience with Barcodesinc was great. They were fast to respond and very knowledgeable. I told them what my requirements were and they took it from there. They recommended the Symbol DS6707. So far it has worked perfectly. I spent a lot of time price shopping and eventually came back to the first place I looked. If only I hadn't wasted so much time looking around. These guys will work hard for your Business. We use this product to track our product through mfg all the way to shipping. We have about 50 of these out in doctors offices for use in medication barcode scanning. They get tossed around with heavy usage and I havn't had one stop working. THe price is a little on the high side but there are really no other cons. It's a great 2d/PDF417 barcode reader.